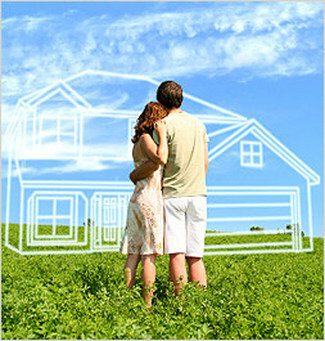 Financing your new manufactured or modular home has never been easier! Today, financing both new and pre-owned manufactured or modular homes is just like financing a site-built home, and you may choose from a wide array of financing options. Most financial institutions offer an entire menu of lending programs for you to choose from, and approved lenders from New Mexico are able to offer you competitive interest rates and attractive terms. Properly financed, the purchase of a manufactured or modular home will help you build equity! Today’s lenders offer a variety of financing options. Not only can your new home can be financed as personal property or on leased land, but it can also be financed in a manufactured community or even on a privately owned site. In addition, if you desire to acquire land at the same time you acquire your new home or if you own your own land, you can finance the land and home together. This is a growing trend for home-buyers, and many home-buyers choose to finance the home and land together as real property using conventional mortgage financing which New Mexico Manufactured Housing Lenders provide. If you require the refinancing of your existing manufactured or modular home, there are option from which to choose that include traditional mortgage lenders. For more information on what financing option is best for you, talk with your retailer or contact a lender directly. For a complete list of NMMHA Member Lenders, click here!